Pho is symbolic of the culinary tradition of Vietnam. Its popularity has even resulted in its addition to the Oxford dictionary. 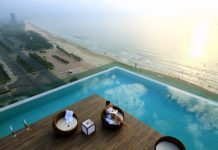 If you visit Vietnam, you need to try it the Vietnamese way! 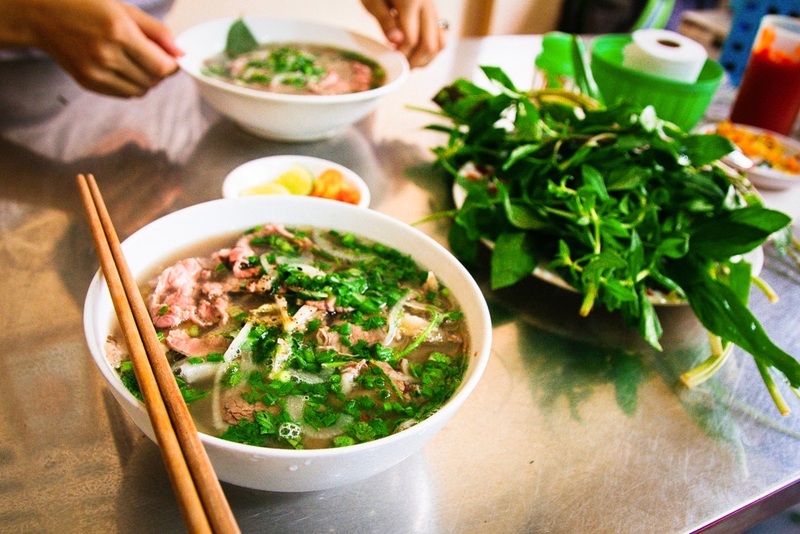 Although it originated from the North, pho in Ho Chi Minh City has a distinct taste that you should not miss. This dish can be found anywhere around the country, from the peaceful countryside to the bustling metropolises, from street stalls to luxurious restaurants. The locals have pho for breakfast, lunch, and even dinner. It’s suitable for every season –be it the summer or the winter, in the coolness of the autumn or in the warmth of the spring. An interesting note is that the taste of pho varies as you make your way down from Hanoi to Ho Chi Minh. In the South, the pho is sweeter, spicier, and sprinkled with more herbs. This makes the pho broth murkier whereas that of northern pho is much clearer – with less spices and a more balanced taste. More information on how the taste of pho changes as you make your way through the country can be found here. People love pho for its delicious and sophisticated broth combining various types of ingredients. Hidden inside each bowl of pho is a world full of flavor that makes foodies keep coming back for more! The broth is what matters! Pho is served in over fifty countries all around the world, but not all places are able to replicate a traditionally authentic bowl of pho. That being said, its sophisticated flavor makes for strict standards and a challenging task, even for the most skilled of chefs. Have a look at how to make this Vietnamese delicious dish for your loved ones. Prepare beef and oxtail. Wash the beef rib and then cut the beef and oxtail into small pieces. Soak the chopped beef and oxtail in salt water for two hours in order to remove the odor and soften the meat before cooking. Prepare other ingredients. Roast the onions, shallots, ginger, and sugar cane. Do not burn them. After that, peel the onions, ginger, and sugarcane and run them under cold water. Roast the anise flowers, cinnamon, cardamom, and coriander at medium heat. Then put all the roasted ingredients into a cloth bag and tie the bag carefully. Next, cut the roasted onions and shallots into fours. Crush or chop the ginger. Wash the coriander very carefully in order to remove all the dust. Chop the washed coriander roots and green onions. Take out the soaked beef ribs and oxtail and rinse them under cold water. Put all the meat into a pot full of water and boil at high heat. When the water is boiling, continue to simmer for two minutes. After the beef is boiled, wash the beef, and oxtail to remove the foam. This action will make the broth more delicious. Put the beef and oxtail in a smaller pot filled with water. Boil the broth on medium heat. When the broth is boiling, if there are air bubbles, use a tablespoon to remove them. Then put all the spices above into the pot of broth, including the onions, shallots, ginger, sugar cane, and the ingredients satchel. Season the mixture with the basic spices according to your taste. When the pot of broth is boiling, keep simmering for about an hour and a half to two hours. You can use a pressure cooker to save time and energy. Wait until the beef has become medium-rare and soak in boiling water. Then, slice the beef thinly and let it cool down for a while. A good pot of broth has a slightly yellowish color with not too much fat. It must have the natural sweetness of sugar cane and the light aroma of the spices. Note that you should not use fish sauce because it will sour the broth. Prepare pho noodles and the fresh vegetables. Submerge the noodles in boiling water quickly before putting them in the bowl. Sprinkle some finely chopped green onions over the noodles and ladle in some broth. You should eat pho while it is still hot. The dish can be served with coriander, some slices of lime, and chili peppers to enhance the flavor. 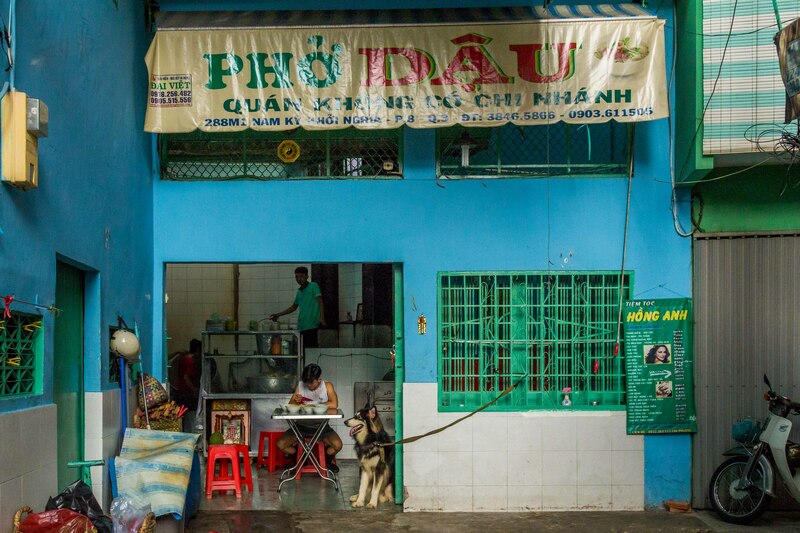 Although there are countless vendors selling pho on the streets of Saigon, the five addresses below continue to warrant visits from both natives and tourists alike. 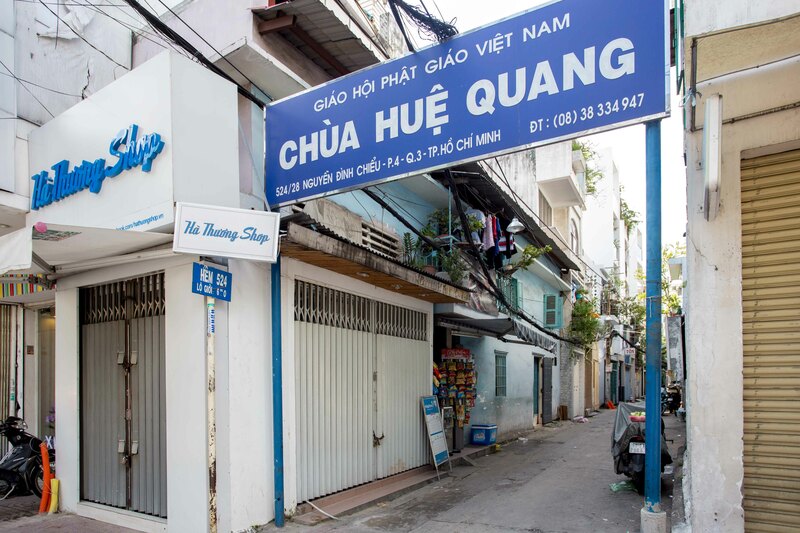 Pho Hoa is a hereditary brand that has lasted for decades in Saigon. The place serves Southern-style pho with lots of fresh vegetables. Fair warning: the size of a bowl here is significantly bigger compared to other places. When it comes to the best pho in town, there is not a noodle lover who doesn’t know Pho Hoa. The menu here is more diverse and more abundant than that of the others. Besides traditional dishes, you can try out all kinds pho at this place, such as the chicken pho, and vegetarian pho. In fact, customers often order the special meal mixed with all kinds of meat at a price of 75,000 thousand VND/ a bowl. Maybe you should try all of the flavors? Pho Dau offers its customers the unique Northern style flavor. It is a 55-year-old restaurant, looking quite shabby on the outside, yet each bowl of pho here still captures the traditional flavor that cannot be found anywhere else. Pho Dau is only open in the morning and it is crowded at almost all times. If it’s crowded, it’s a go! 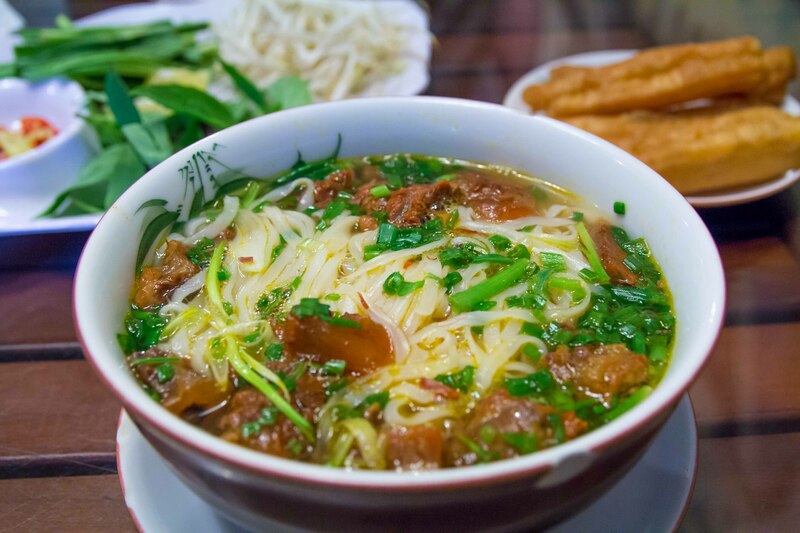 Located in a small alley, Pho Minh is characterized by the taste of Northern-style cuisine. The location is impressively quiet, able to separate itself from the rush of life outside. 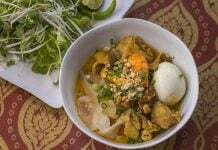 An airy setting, old furniture, and traditional flavor make Pho Minh a familiar address for Northern style food enthusiasts. In the concrete jungle that is Ho Chi Minh City, what’s better than sitting in your own cozy corner, looking at the glowing charcoal oven while enjoying a hot bowl of pho with an irresistibly charming fragrance? Operating for more than 60 years. 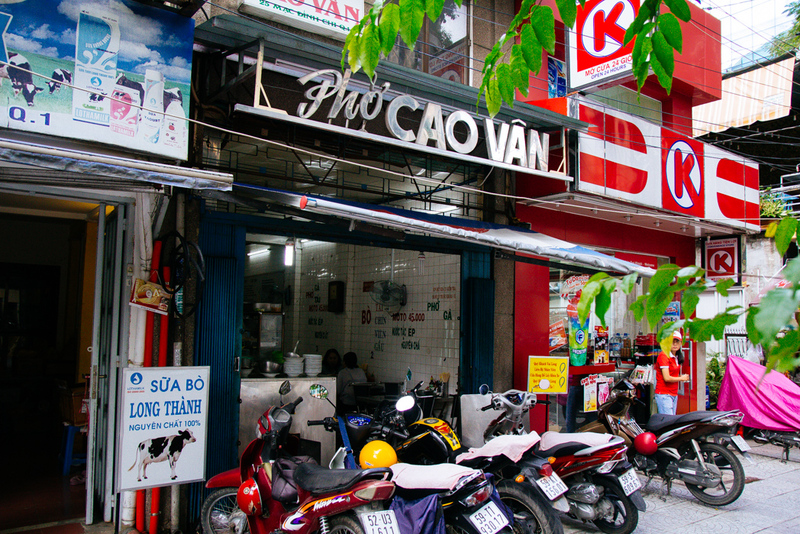 Pho Cao Van has had a long career, operating for more than 60 years since 1952, and even until now, it is still enchanting natives and foreigners with its specialties. 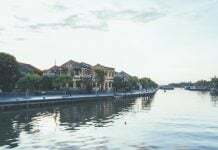 The 90-year-old man running the whole business is also well known for telling patrons about his precious memories of the rise and fall of Saigon. One of the most noticeable things at Pho Hung is that its broth is made entirely from beef and fresh vegetables. The restaurant is spacious and has a dedicated staff manning the operations. It is one of the very few pho restaurants opening 24/7 in the city, so you can easily pass by and have a big bowl of pho at any time during the day. Having started in Hanoi, these flavors clearly originated in the North. 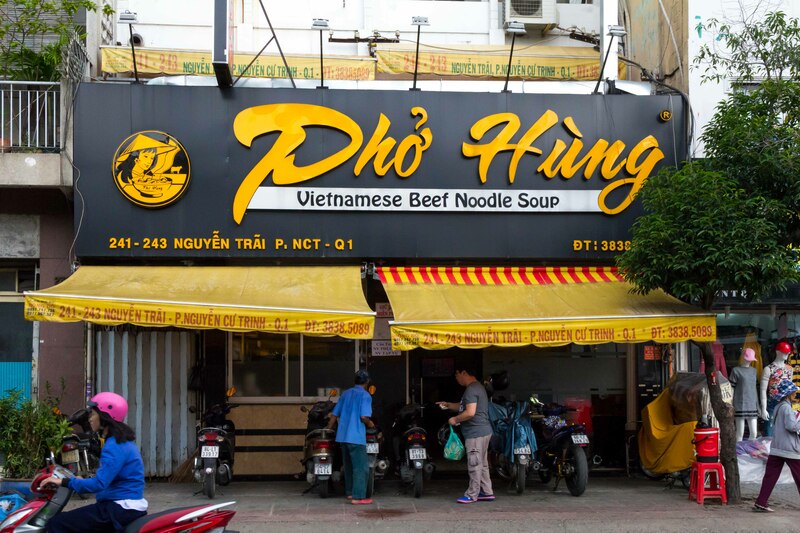 Pho Thin has already been a familiar destination in Hanoi, and since it was moved to Saigon, the brand has still retained its one-of-a-kind inherent flavor. 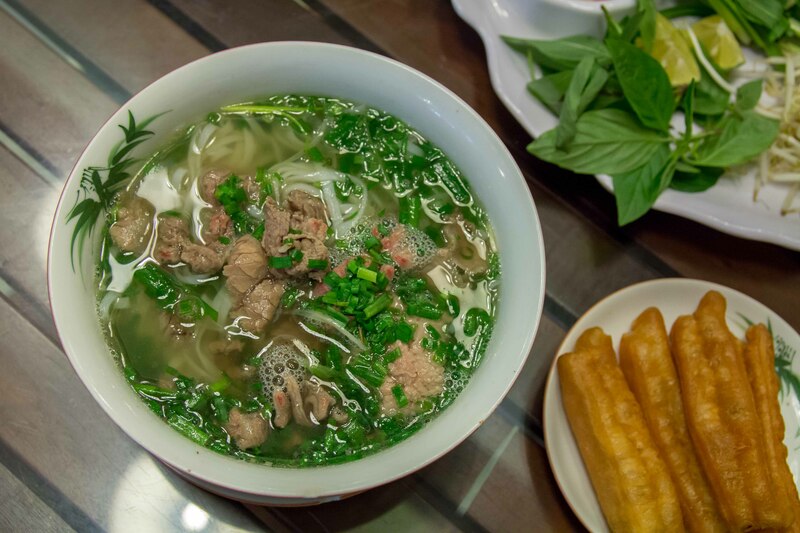 Bowls of pho here are favorably seen as a perfect combination between the cuisines of Hanoi and Saigon. The noodle soup is not over seasoned, so diners can still taste the slight sweetness of beef and the freshness of each noodle. 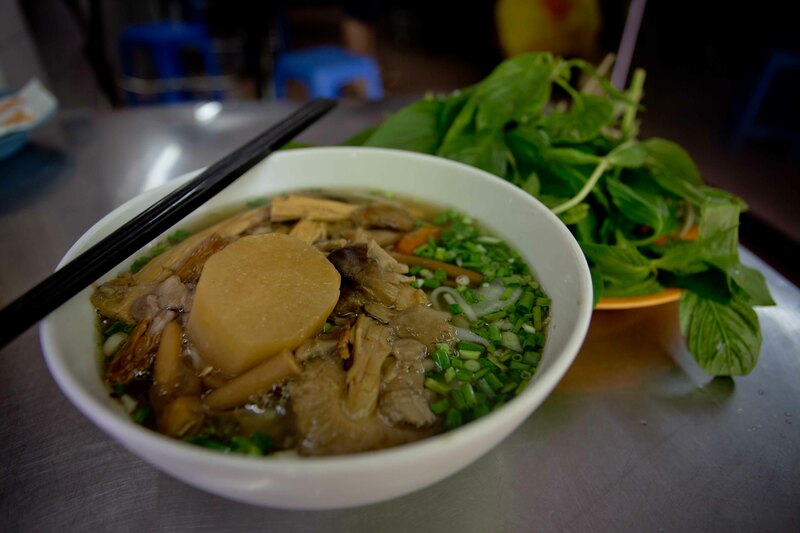 It is known that to get such a fantastic bowl of Hanoi’s pho, the broth is cooked with fresh bones for eight to ten hours. The single best Pho in Saigon (and probably the earth) can be found in the alleyway 524 Nguyen Dinh Chieu street. This gem of a pho restaurant only serves breakfast, and they start early. They close shop at around 9:30 AM, or as soon as they sell out which may be earlier on weekends. As far as we are aware there is no name for this restaurant, and you will be essentially eating out of the family’s house that runs the restaurant’s dining room. It is a very authentic, local experience and the food quality will not disappoint you. You can locate it quite easily, from the main road. It’s about ten meters down alleyway 524 and there will be a long line of motorbikes leading up to the restaurant entrance. If you’re a Vietnamese food lover, this is the place not to miss while in town. It is a very authentic, local experience and the food quality will not disappoint. We can do vegetarian too! When it comes to vegetarian options, Pho Nhu restaurant is the best choice. It is a small local restaurant located in an alley but has a sign out front and the map is spot on. The vegetarian pho here is made mainly from mushroom and tofu, which is surprisingly delicious and for those who try it for the first time, it is really hard to recognize. You can find other vegetarian noodle options here as well and all of them are really tasty. This place also sells their bowls at a low price, compared to other pho places. It can be said that the growth of pho in Saigon has nearly reached its apex. From the flavorful traditional style to the fast modern versions, pho has gone through the vicissitudes of time and plays an important role in the culinary foodways of Saigon. Undoubtedly, skipping out on Saigon without having pho would be your biggest regret. 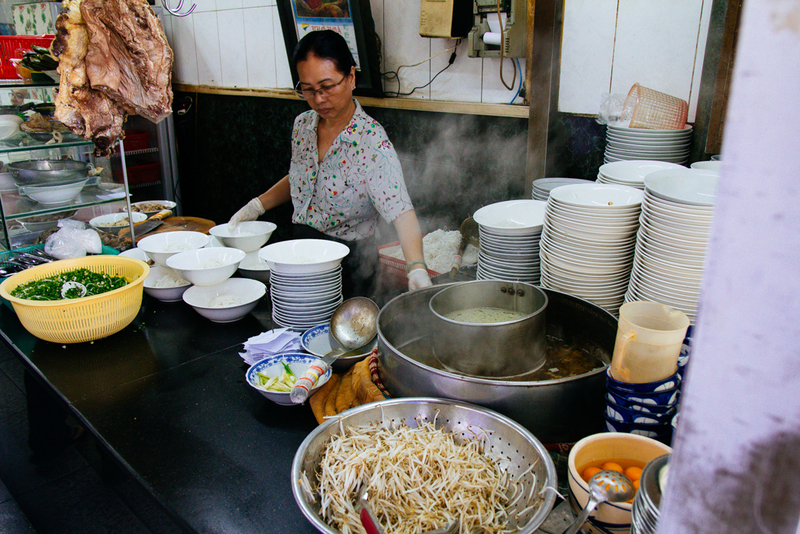 Have you found a favorite joint yet to have Vietnam’s most famous dish? So keep that in mind if you decide to try cooking this for yourself. What you might notice in the shop is that there are not many in-house customers. The reason is that their guests mainly buy and take-a-way or use the delivery service. Most of the coffee shops, hotels, and beauty salons in the area serve pho from Pho 179 when you order this dish on their menu. Besides pho, the delicious egg yolk soup is a side dish you shouldn’t miss at Pho 179. The healthiest way to eat eggs is raw. So why not try raw egg with your pho? To make this yummy dish, the cook puts an egg yolk in a small bowl then pours the boiled broth over it to heat the yolk. Finally, some pepper and green onion will be added to enhance the great taste of this soup. To enjoy it, you can either break the yolk and stir it into the broth or eat the whole egg. I prefer the second way because I love the feeling when the yolk melts in my mouth. It is open from 6:30 AM to 10:30 AM! So get up early to taste the best of the best for just 30,000 VND!